Fish Party! 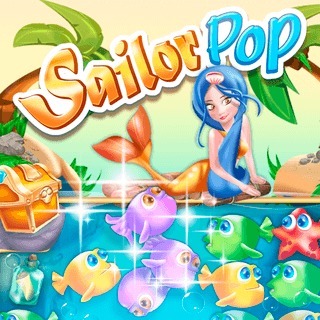 Put on some fancy swimwear and join the brave sailor and beautiful mermaid on an epic underwater adventure! In this fun puzzle collapse game, your task is to match at least 2 fishes of the same color to free them. Complete the level goals and try to get as many stars as possible to unlock new maps. Use cool boosters to earn more points and beat difficult levels. Find hidden gold stashs and uncover the treasures of the blue lagoon! Are you ready for the dive of your life?